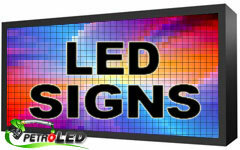 We manufacture the largest selection of quality LED Gas Price signs and LED signs that you'll find anywhere. If you're looking for a wide assortment of Digital gas price signs and LED message centers at great prices, you've come to the right place. 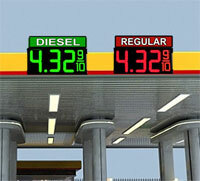 We offer a 5 year warranty on our Digital Gas price signs. You'll find an abundance of exciting options to choose from at Petroledsigns, and our checkout process is quick, safe, and secure. When it comes to providing the customer with just the right LED gas price signs, we're the experts. 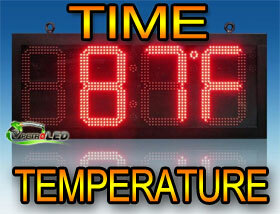 We have manufactured thousands of LED Gas price signs over the last 9 years and our quality is second to none. When you place your order today, you'll get your item quickly, so you can enjoy it as soon as possible, your satisfaction is guaranteed. We are here to answer your calls M-F 7AM-9PM , Saturday 9am-6pm, Sunday 10am-6pm, CST. Just call 866-799-4353 or SALES@Petroledsigns .COM. 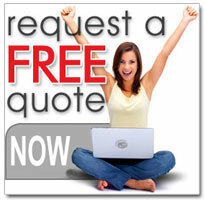 We strive to answer your e-mail within 2 hours. Enjoy safe, secure shopping. Petroledsigns uses a safe and secure online ordering system that protects your privacy every step of the way. We work hard to provide you with a great shopping experience at Petroledsigns, and we're confident you'll enjoy the product you purchase. After all, that's why we're here.